Rust is the ideal language for writing safe, correct code in a way that won't make you pull your hair out. 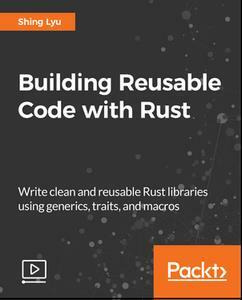 This course will teach you how to build reusable Rust code so that you can stop copying and pasting code. Write code that can adapt to many different usages. You will reuse code by using advanced features such as traits, generics and macros. You will work with different forms of code reuse, loops, map, filter and fold to save time and resources. Achieve higher-level reuse without sacrificing runtime performance. Organize your code into modules and crates to publish them to crates.io. By the end of the course you will be able to avoid code duplication and write clean reusable code.